Lactose intolerance is a fairly common disorder, estimated to affect 75% of the world’s population. It is caused by a lack of an enzyme produced in the small intestine called lactase. This enzyme helps the body to break down the sugar (lactose) found in milk and milk products so that it can be properly absorbed into the blood. Primary lactose intolerance – this is the most common form of the condition. In this type of intolerance the body starts off life with the full ability to digest lactose found in milk but as the body ages, this capability diminishes. Secondary lactose intolerance – this occurs when the body’s ability to digest lactose is altered either due to surgery or as a side effect of an illness (Celiac disease, bacterial overgrowth, and Crohn’s Disease). Congenital lactose intolerance – is the condition where babies are born with a diminished capacity to digest lactose. Diagnosing lactose intolerance can be performed a few different ways. There is a Lactose intolerance test that involves drinking a liquid with a high level of lactose in it. After two hours blood samples are taken to see if there is an increase in the level of sugar in the blood. If there isn’t a significant change, this indicates that the body didn’t digest the lactose sufficiently. A hydrogen breath test can be performed ro monitor the level of hydrogen produced if lactose is digested properly. The more hydrogen produced indicates the less digestion that took place. The third test is a stool acidity test which is primarily used in patients who are unable to undergo the first two tests and it measures the amount of acid in the stool. Additionally, some other types of food that may contain dairy are: bread, cake, custard, chocolate, candy, instant soups and some sauces. One of the ways to avoid the symptoms of lactose intolerance is to remove dairy and dairy containing products from the diet. There are lactase containing supplements that can be taken that may help with the digestion of lactose and also taking probiotics may be beneficial. 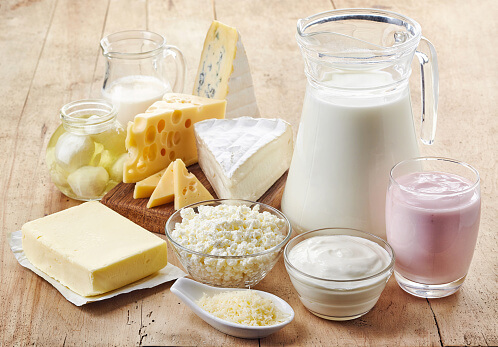 If you experience any of the symptoms of lactose intolerance and would like to schedule an appointment with a physician at Flushing Hospital Medical Center, please call 718-670-5486. This entry was posted in Health and tagged Flushing Hospital Medical Center, lactose intolerance by Andrew Rubin. Bookmark the permalink.